EnKei 3 spoke wheels anyone? Mine came with the bike and I cannot find brake rotors for them because I have no idea what bike they came off of. 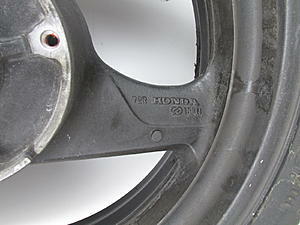 Every VTR1000F made came with 3 spoke Enkei wheels. Last edited by E.Marquez; 02-23-2018 at 09:49 AM. It gets better. The rims have straight spokes and the front end apparently came from a GSXR. 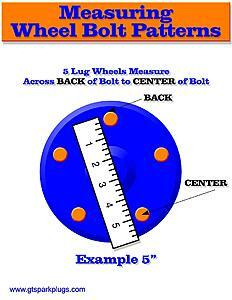 The rims are not stamped Honda or Suzuki and the rear disc is 5 bolt. Since I need to rebuild the motor because of the bent shift forks (just realized it today) I want to solve the little issues first. My goal is to fir the SV1000 fuel injection system on it but one thing at a time. Fuel injection hmmm.... good luck with that, if you will figure a good way to make it work, please share here, I know many people contemplated that idea, including myself, some tried, but no one made it to work yet. Well at this point Id forget application and just measure and find one that fits. You said "5 bolt" so Im guessing rear disk not front..
Is it flat or dished? What is the MIN disk thickness listed on disk? Photos of 6 Spoke Wheels On A VTR ... Who Has Them?? Quick Reply: EnKei 3 spoke wheels anyone?